After MONTHS of not-at-all-patiently waiting to get into next year’s Chicago Marathon, I received my long-awaited email on Saturday morning informing me that I’m in. I got in through CARA’s Marathon Incentive Program for the second year in a row, and while I think that’s an awesome program, let me tell you, it is not for the impatient of heart! (i.e. : me). To be fair, I think a lot of this year’s delays came from the fact that the marathon decided to open 2017 applications way, way, way earlier than ever before, which I imagine left CARA in a bit of a bind. If the guaranteed entry/lottery registrations had opened in late winter like usual, things probably would’ve gone a little more smoothly. As it stood, however, the CARA Runners’ Choice Circuit–which is extremely important to the Marathon Incentive Program, because the “5” of the “5+2” that makes up that program refers to races on the Circuit–didn’t even finish before registration opened this year. I would guess that at least partially contributed to the delays this year. CARA made it quite clear that Marathon Incentive Program entries were rewarded on a first come, first served basis, so I got up at 6:52 a.m. on Oct. 30 to be ready for the applications to open at 7 a.m. that day (as it happened, they were already open when I logged onto the computer, and I finished the whole application process before 7 a.m.). At the time, we were told it could take up to four weeks to know whether or not we got in. There were exactly two days left in the lottery application period after that four-week window ended. As time went on and I continued to hear nothing from neither CARA nor the marathon about my entry, I became more and more panicked, and eventually emailed CARA to see if they could at least tell me when I’d know. While that email didn’t tell me when I’d ~officially~ find out whether or not I got in, it did tell me that I got in, so I breathed a little easier for the moment. Another six or so weeks passed and I STILL hadn’t heard anything. At this point, those who entered the lottery started finding out whether or not they had gotten in, and I got constant Facebook notifications from my running group with everyone announcing that they would be back next year. Even though I had word from CARA that I was in, I still didn’t have the code I needed to register, and to say I was starting to get antsy would be a gross understatement. I waited almost a full week after the lottery results came out to pester CARA with another email, at which point I was told the marathon had promised CARA codes in “early January.” So I continued to twiddle my thumbs and argue with myself about when “early January” officially ended and I would feel comfortable bugging CARA once again, when to my great delight, I opened my email Tuesday afternoon to find a message from CARA with my registration code. I signed up for the race as soon as I got home, and fortunately the 10 days they warned me it may take to process my application only turned out to be three and a half. So I am now, officially, signed up to run the 2017 Bank of America Chicago Marathon. Here’s to a summer of complaining about how much I hate hot weather, how I hate the treadmill even more, and hopefully not nearly stress fracturing (or otherwise injuring) my foot or any other part of my body this year! 2. The first bit of the past three years, particularly late January and basically the entire month of February, have been pretty difficult for me. In 2015 and 2016, I chalked those depressed and/or anxious feelings up to what soon proved to be failing relationships. While I don’t doubt at all that relationship issues, especially in February of 2015 and 2016, contributed to my poor state of mental health, I’ve also started to wonder if those issues were the entire root of my issues. Earlier this month, I was feeling particularly anxious for no easily discernible reason, when I realized that 2015 and 2016 weren’t my only challenging winters. The winter of 2014 was an absolute disaster (and, since I had just started online dating at the time and only went on one date, period, in the months of January and February, I couldn’t blame a relationship as the reason I felt down.). It was the first time in my life where I ever felt like I would never feel better, and ultimately prompted me to start therapy. While events have happened for the past three Marches that could have helped with my increasing anxiety (starting therapy in 2014, a breakup in 2015, another breakup in 2016), I was starting to think that all of this winter depression/anxiety that magically cleared up right around the beginning of March when Daylight Savings Time begins was…not entirely coincidental. I brought this up to my therapist and my primary care physician, and both said that while I may not have full blown SAD, I certainly might have a mild version of it. Since I already exercise regularly and go to therapy weekly, they suggested I try light therapy. Meet my new happy light! According to my doctor, you want a happy light with 10,000 lux, and this was both the cheapest and most portable happy light available on Amazon with 10,000 lux, so here we are. I wanted a portable light in particular because my doctor, therapist, and the internet all told me to use the light in the morning. While the internet recommends using it for the first 30 minutes after you wake up, considering that I get up at the absolute, very last possible second on workdays (and, more often than not, actually get up more like 10 minutes after the absolute, very last possible second on workdays), that didn’t seem like a particularly viable option for me Monday through Friday (I didn’t think that getting a half hour less of sleep five days of the week would elevate my happiness levels haha). The user manual said to use it within two hours of waking up if you have trouble waking up without an alarm (*waves*), so I’ve decided to keep it at my desk during the week, then take it home on weekends and use it there. I just started using it on Sunday, and we’re hardly into the throes of February yet (given that we still have almost two weeks until it even is February, that makes sense 😛 ), so I can’t really say quite yet if this is the solution to my winter blues. However, I am surprised how it tricks me into thinking it’s sunny. My cubicle is totally isolated from the outside world. We’ve had huge thunderstorms come and go without my noticing, so needless to say, I’m not exactly aware of daylight levels when I’m at my desk. On Monday–a day I knew was rainy and grey, since I walked through it on my commute to work–I stood up from my desk after my 30-minute happy light session and was genuinely surprised to see how cloudy and dark it was outside, even though I had just been out there and obviously experienced it. Magic! I started taking lunchtime walks a few months ago to get outside and see the sun (when it’s not hiding behind clouds, that is) and am working to healthify my diet (I had to have blood work done for my health insurance again, and I still have high cholesterol 😦 ), so hopefully those things in combination with the happy light will make this a much easier winter. I’ll keep you posted! 2. I don’t know how long this has existed, but last Monday, I became aware of FitStar, a workout app developed by Fitbit. Since I’m constantly on the lookout for new workout ideas and my updated Fitbit app came with a Guidance tab that integrates with FitStar workouts, I downloaded the app immediately. The FitStar app features a bunch of workouts designed to help you improve your fitness in varying ways (full body strength, area-specific strength, cardio, etc.). You don’t need a Fitbit to use it, but if you have a Fitbit, it will automatically log your workouts for you, so you don’t have to set a timer or wait for your Fitbit to figure out that you’re working out on its own. I have not explored the entire breadth and depth of the app at this point, but from what I’ve seen so far, the only piece of equipment you need is a box or something equivalent (a step stool, stairs, maybe a particularly sturdy and secure chair?) you can use to do step-ups or tricep dips. Everything else I’ve seen just uses your bodyweight. You pick which trainer you want to work with, and then he or she helps guide you through the videos available to you. You can follow a program (most of which are only available through the premium version of the app), or you can do a “Freestyle Session,” where you pick whatever video suits your fancy. The app comes with free and premium versions, and from what I’ve gathered, you definitely only get a taste of what it has to offer with the free version (which is what I have). As far as I can tell, I can access 21 of the 43 possible workouts. You can get premium for free (I don’t know for how long) by referring friends, for $7.99/month, or for $39.99/year. That’s a lot cheaper than a gym membership, but also more expensive than a free app like NTC. I’ve enjoyed the workouts I’ve done so far with FitStar. I particularly like that they’re easy to do at home and that it has its own built-in playlists. The music balances perfectly with the audio instruction, which I certainly cannot say for NTC after it updated this past summer. I don’t like that I feel locked out from a lot of what the app has to offer, especially since I’m used to NTC, where I have access to over 100 workouts. Of course, just because I have access to over 100 workouts on NTC certainly doesn’t mean I’ve even come close to doing 100 different workouts–I’ve done 14, to be exact, since the app updated in July–primarily because the equipment required in SO many NTC workouts doesn’t make sense with my gym’s layout (I can’t get from the kettlebells on one end of the gym through the entire building to the rowing machine in 10 seconds) or my skill level (I can’t do one pullup, never mind 10). I haven’t done enough Fitstar workouts to feel confident saying I prefer one app over the other at this point, but I’m looking forward to mixing things up, especially when it comes to at-home workouts. 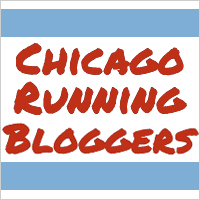 Who else is running Chicago this year? ?